Top seed Elizabeth Paehtz of Germany. 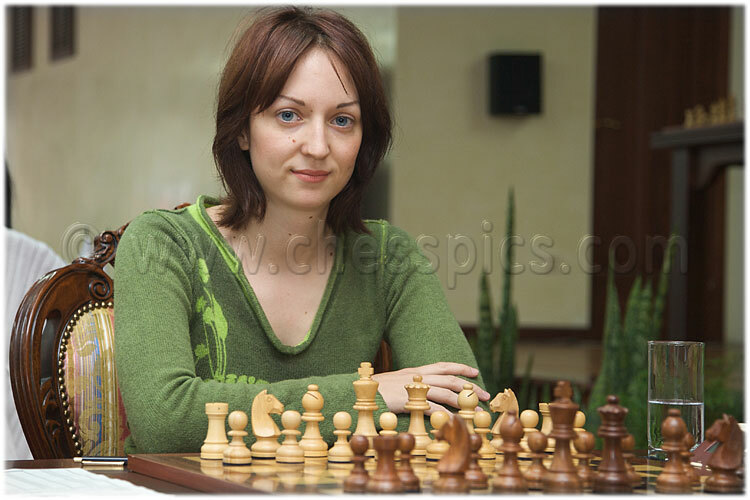 Find lots of great photos of the world's best chess players at www.chesspics.com. Former World Junior Girls’ champion Elisabeth Paehtz of Germany is the top seed at the round-robin women's chess tournament that begins in the South Indian city of Bhubaneshwar on March 17. The AICF-KIIT Chess Cup is India's strongest-ever women's closed chess tournament with a prize fund of about $15,000. Elina Danilian and Lilit Mkrtchian of Armenia, Olga Girya of Russia, Cristina Foisor of France and reigning world junior girls’ champion Guo Qi of China are the other non-Indian players in the event. The Indian players include national women’s champion Mary Ann Gomes, Padmini Rout, Kiran Manisha Mohanty, Nisha Mohota, Eesha Karavade and Swati Ghate. The tournament will be played on a round-robin basis and the drawing of lots will be done during the opening ceremony. There will be eleven rounds in all under FIDE’s standard time control between twelve players. The AICF-KIIT cup is aimed at providing top level opposition for Indian women chess players.